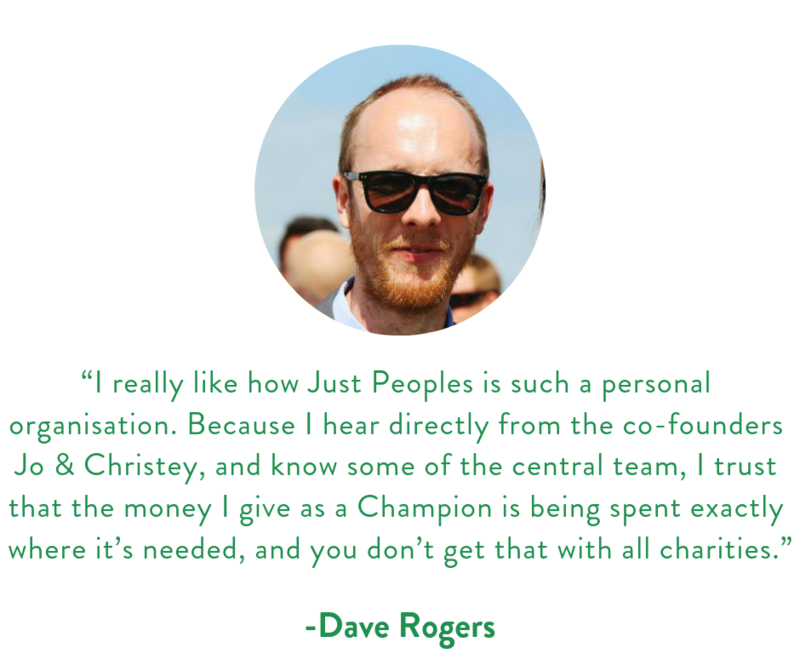 Our Champions are a community of awesome people who share our vision of a world free from poverty. Their monthly donations make us financially sustainable, so we can turn our vision into reality. Most importantly, your monthly gift will enable us to empower more local people to lift their communities out of poverty. 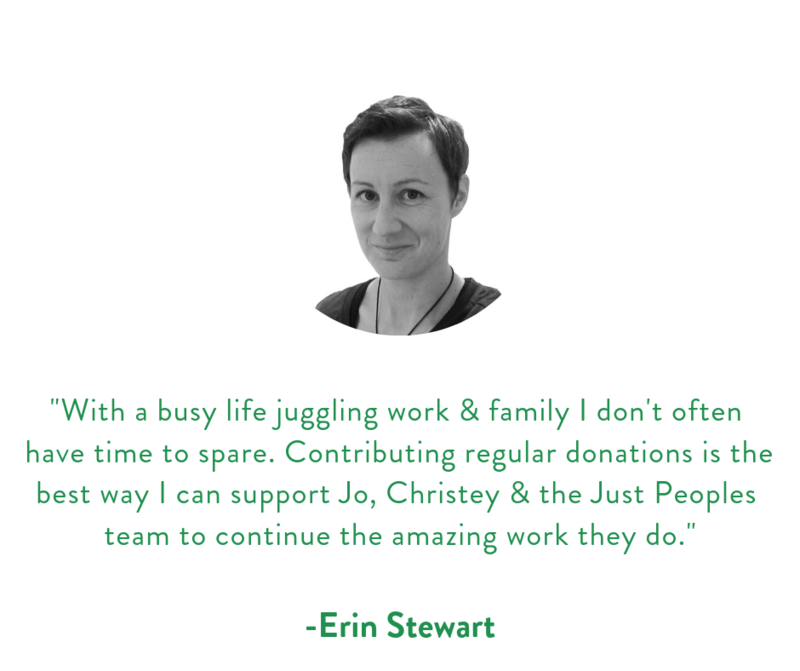 *Email jo@justpeoples.org or christey@justpeoples.org if you are having any issues setting up your monthly donation. If you prefer to pay up-front rather than making a recurring donation you can also join The Champions by making a one-off donation. Olga Dziemidowicz from art-by-olga paints for purpose. Olga donates half of her profit to charities which work to lift people around the world out of poverty. Olga’s most recent achievement was to reach the finals of Art Battle International in Melbourne last Sunday. By signing up to be a Champion before 25 April 2019 you could win her piece "People in Red", the painting on the bottom left. Full competition rules, terms and conditions available here.